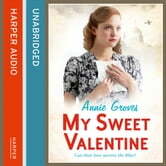 An emotional portrayal of the lives of four women as Valentine’s day approaches, in 1941 wartime London ‘Life brought enough problems and upsets for young hearts, especially young female hearts, without them having to carry the added burden of the war…’ Tilly is passionately in love with the dashing American journalist, Drew. But he is harbouring a secret that threatens their burgeoning love. 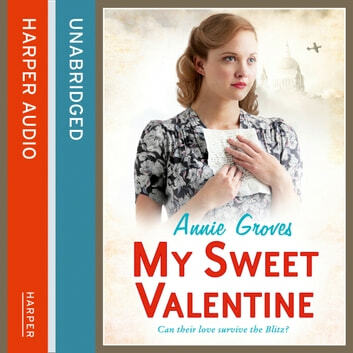 At the same time, Dulcie’s brother Rick walks back into her life, the man who she longed for all those years ago… Agnes is comforted by the loving arms of her caring train driver fiancé Ted. And Sally could not be happier with her talented surgeon boyfriend at her side, especially since he’s risked his life to visit her at the stroke of midnight on New Year’s Eve. For Tilly’s mother, Olive, the cold heart that had been frozen since her partner died, is beginning to thaw. But the man she pines for is betrothed to another. The net curtains on the well-to-do Article Row have been twitching, and prying eyes have seen the way she’s been looking at Sergeant Dawson… When the clock strikes midnight at the Hammersmith Palais, three couples stare deeply into their lovers’ eyes. The confident and stunningly beautiful East Ender, Dulcie, is left alone once more, abandoned by her boyfriend at this most precious of precious moments. But the women of No. 13 Article Row know that joy is short lived in the London of 1941. It’s a treacherous place, especially for the tender-hearted. As Valentine’s Day approaches, the perils of war threaten life as they know it and all matters of the heart.